Scripps College, a women’s liberal arts college with a strong interdisciplinary tradition, invites applications for a tenure-track position at the Assistant Professor level in Clinical Psychology to begin in the 2019-20 academic year, ideally with an emphasis in gender and women’s studies, sexuality, transgender, and/or cultural issues, with intersectional approaches preferred. The teaching load is four courses annually plus senior thesis advising, with an emphasis on teaching and mentoring excellence. Courses taught will include Abnormal Psychology, Psychological Internship, and courses in the candidate’s area of interest. The potential to teach service courses for the major including Introduction to Psychology, Psychological Statistics, and Research Design is desirable. Candidates should provide evidence of demonstrated success in and commitment to a program of research. Participation in the Core Curriculum in Interdisciplinary Humanities program is expected. Ph.D., teaching experience, and license or license-eligible in Clinical Psychology required. Preference will be given to applicants with a commitment to the College’s goal of improving higher education for underrepresented students. Applicants should submit the following materials online at https://academicjobsonline.org/ajo/jobs/11283 by the application deadline of October 15, 2018: letter of application; CV; three letters of recommendation; teaching portfolio (including sample syllabi and evidence of teaching experience and excellence), research statement, and three writing samples. For matters other than the submission of material, contact Professor Stacey Wood, Chair, Psychology Search Committee, at PsychologySearch@scrippscollege.edu. 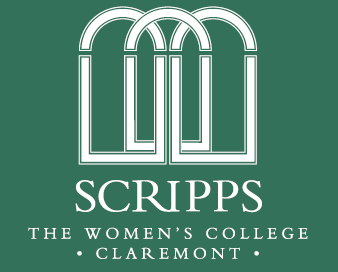 Scripps College is one of seven members of The Claremont Colleges Consortium located 35 miles east of Los Angeles. In a continuing effort to build a diverse academic community and toprovide equal educational and employment opportunities, Scripps College actively encourages applications from women and members of historically under-represented groups.